Rather than a “nation,” the Articles created a “confederacy,” or an association of sovereign states. Every state was its own country, except with respect to those powers expressly delegated to the U.S. Congress, and it agreed to do certain things for and with the other states in the confederacy. Several provisions would later go on to be enshrined in the U.S. Constitution. For example, states would have to give “full faith and credit” to the records, acts, and proceedings of other states. The “privileges and immunities” of U.S. citizens would be the same in all states. Fugitives who were caught in one state would be delivered up to face justice. Some powers that would later be given outright to Congress under the Constitution, such as coining money and regulating its value, would go to the Confederation Congress, but only with the consent of 9 of the 13 states. But that is where the very few similarities end. Any changes to the Articles themselves needed every state to agree. There was no national executive department. The executive was not a single person but a committee of representatives of the states or national court system. The Confederation Congress could not effectively collect taxes, raise an army, or regulate interstate commerce. In the years following, states issued their own currency and put tariffs on the trading of each other’s goods. By the mid-1770s, more and more people were becoming concerned about the problems with the Articles. A major worry was that the weak central government did not have the power to make uniform commercial laws for the country. After representatives from Virginia and Maryland met at George Washington’s Mt. Vernon residence to discuss navigation of the Potomac River those two states called for a convention to be held in Annapolis to discuss commercial regulation. This meeting, called the Annapolis Convention, was held in September of 1786. Five of the thirteen states sent representatives. These delegates included James Madison from Virginia, Alexander Hamilton from New York, and Pennsylvania's John Dickinson. 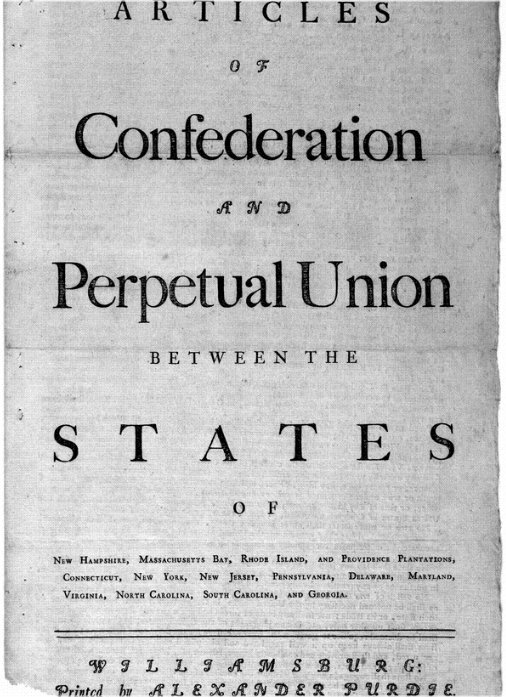 The Annapolis Convention decided to call a future convention for the purpose of revising the Articles of Confederation. All of the states were invited to send delegates to this convention, which would begin in Philadelphia the next May. The Confederation Congress passed a resolution urging states to send delegates. This historic meeting would later become known as the Constitutional Convention. 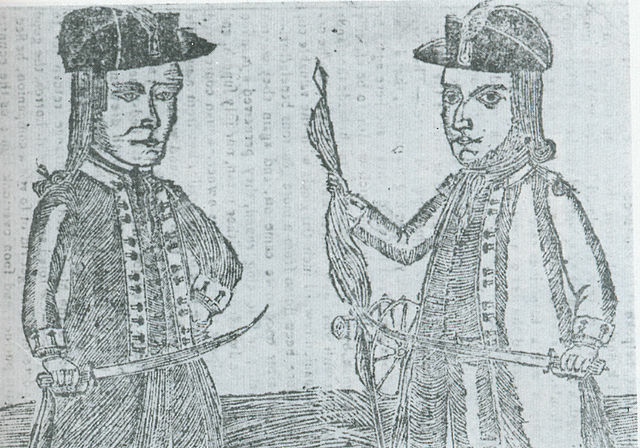 After the Annapolis Convention but before the Philadelphia Convention, the events of Shays’s Rebellion solidified in many minds the need for a stronger central government. In the rebellion, western Massachusetts farmers were angry with their state government’s refusal to pass debt relief and issue paper money. Daniel Shays, a former Continental Army Captain, led a militia that stormed court buildings so that action against bankrupt debtors could not proceed. The militia released debtors from prison. Eventually, a stronger army organized by the state crushed the rebellion. John Jay, advocate for a stronger national government in the 1780s. 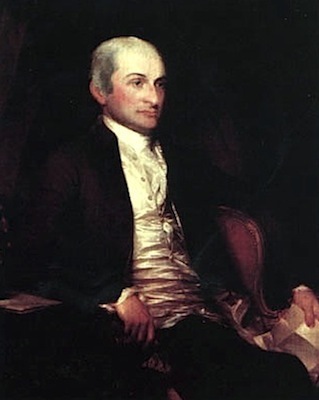 John Jay noted that some in Massachusetts who had previously opposed the Philadelphia Convention were now speaking out in favor of revising the Articles. George Washington, already in favor of revising the Articles, was among those who were worried about protests that violated the law. He feared that the rebellion would be a sign to the world that the American people were not fit for self-government, and that their experiment had failed. Washington wrote in 1786, “The accounts which are published of the commotions [of Shays’ Rebellion]…exhibit a melancholy proof of what our trans-Atlantic foe has predicted; and of another thing perhaps, which is still more to be regretted, and is yet more unaccountable, that mankind when left to themselves are unfit for their own Government. I am mortified beyond expression when I view the clouds that have spread over the brightest morn that ever dawned upon any Country… To be more exposed in the eyes of the world, and more contemptible than we already are, is hardly possible.” He also concluded that if the government “shrinks, or is unable to enforce its laws…anarchy & confusion must prevail” (George Washington to Henry Lee, October 31, 1786). “Malo periculosam, libertatem quam quietam servitutem. [I prefer the tumult of liberty to the quiet of servitude.] Even this evil is productive of good. It prevents the degeneracy of government, and nourishes a general attention to the public affairs. I hold it that a little rebellion now and then is a good thing, and as necessary in the political world as storms in the physical.” He went on to warn: “Unsuccessful rebellions indeed generally establish the encroachments on the rights of the people which have produced them” (Thomas Jefferson to James Madison, January 30, 1787). Good governors, he concluded, should not punish rebellions too harshly. The Philadelphia meeting proceeded as planned in the summer of 1787. Washington came out of retirement in order to preside over the Convention, and Madison was the chief author of the new Constitution. It provided a new, much stronger central government, with a national legislature empowered—among many other things—to regulate interstate commerce. Later critics of the Convention in the Progressive Era argued that the Constitution was written mainly to allow wealthy elites to control government and use the system of law to protect their economic interests. They point out that the only individuals who took part in the Convention, which was carried out in secret, were wealthy, land-owning white men. Therefore, they argue, the resulting document protected only the interests of wealthy, land-owning white men. They argue that the interests of those not invited to the Convention: enslaved Africans, indentured servants, women, and struggling farmers such as Daniel Shays, were not properly represented by the appointed delegates. To give one example, was Shays’s Rebellion a symptom of weak government and a sign of the need for revision, or simply an excuse for elites to gain greater power? The stronger central government created under the U.S. Constitution involved compromise. The debate over proper limits on the power of the central government would continue into the ratification debate and continues just as intensely to the present-day.